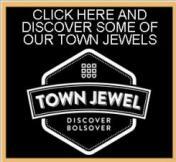 Hornscroft Park is one of Bolsover's 'Town Jewels' located on the edge of the Town Centre. The park land was gifted to the Town in 1921 by the Duchess of Portland and in 1937 was set out as a National Fitness Park, complete with Tennis Court, Bowling Green, Chess Board, Children's Play Area and planted flower beds. One park boundary contains the Castle Entrenchments but during the 1990 the Park fell into dereliction and by 2004 the bowling green, Tennis Courts and Chess Pieces had all disappeared and the Park was in need of a much needed revamp. 2008 saw the start of the Park's renaissance, with a new younger children's play area and in 2010 came the spider's web climbing wall, multigame area and older children's play equipment. With the valuable help of the Friends of Bolsover Parks, the former bowling green area has been transformed into "the Bowl"
The Park also plays host to the Bolsover Gala, which takes place at the end of June each year and other community activities. The Park was established as a playing field in 1937 and later became a designated King George V Charity Playing Field. 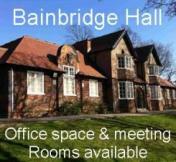 Vale Park is located opposite Bainbridge Hall on Chapel Road, serving both the Carr Vale and New Bolsover Communities. The Park was refurbished during the late 1990's having originally been an allotment site. The Park boasts an interesting and exciting layout complete with a young children's area, a picnic site, older children's equipment and an exercise walking track, taking advantage of the park's natural elements. Lighting has recently been installed on the Park and some of the play surfaces have been replaced. Further improvements are being planned to replace and also provide additional equipment on the Park. Bentinck Road is situated off Woodthorpe Road. In addition to a Childrens Play area, there is also a large sports football field play area. Situated at the Junction of Clowne Road and Woodthorpe Road. This Park benefited from a complete overhaul in 2010. It now boasts a multigame area, and both young persons and older children's play areas. It has been designed to introduce natural play elements, building on the more formal equipment provided. The Park is opposite Brockley School and provides an ideal location for parental gatherings to and from the School. Stanfree Park is located on Clowne Road between Shuttlewood and Clowne. In addition to the large recreation space there is a modern well equipped Children's Play Area. The site has far reaching views. All the facilities are managed and maintained by the Town Council. Whaley Common has a small play area and a football pitch. HTML5 validated. WCAG compliant. Page generated in 0.1108 seconds.